When developing a Digital Strategy for an organisation these aspects can not be ignored. They must be identified, so that appropriate solutions can be formed for that organisation. As was noted previously a social media strategy will be most successful if lead from the top and powered from the bottom (i.e. all staff). In this post we quickly go over social media technologies, an introduction to Digital Strategies and a case example of a successful governmental digital strategy. Foundational - Core social computing technologies, including blogs and wikis. 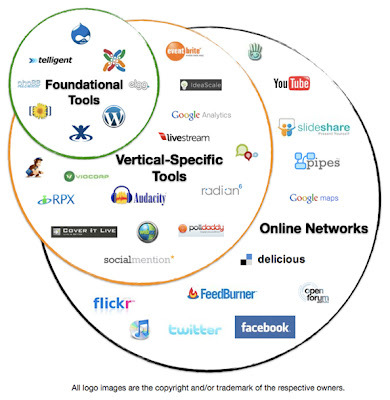 Vertical Tools - specialised Web 2.0 technologies. Online Networks – Active engagement, feedback and timely dissemination of information. In a previous HCSMANZ CHAT we talked Beyond Twitter & Facebook which overviews some of the other services utilised by health consumers & advocates. For a more complete list click here. More broadly we discussed nearly a year ago integrating Social Media into Public Health. Which highlighted the great use of Social Media by the CDC and 8 other Great Health Campaigns. An interesting read from Healthcare Finance News. Communication is shifting to public, more open forums. Patients (or consumers) are taking a more active role in their healthcare. Increased access to information means patients are demanding more transparency. More instant feedback can help both consumers and organisations. Social information is impacting how and when patients select treatment and providers. Social media allows for higher levels of trust. Social media is evolving from a marketing tool into a business strategy. Providers can use social media as an outcomes-based measurement. Health insurers can use social media to help focus on population health. This perhaps raises the most crucial point why an organisation or an individual should have an internet presence. It allows you to control it. The Digital Strategy is just plan behind how you hope to bring about that control and the outcomes you would like to see. What are you key messages? What will you do with inappropriate material? Who will implement the strategy? Mike Cadogan is back again (but this time in video format) sharing some of his tips in setting up a digital footprint. Though targeted at setting up a personalised digital footprint, many points carry across to setting up a footprint for an organisation. In addition, I've adapted a segment of this infographic from KBSD on what organisations can do when they are carrying out a digital strategy. In the first 6 months of establishing their Facebook page they gained 8,000 likes, just by sharing interesting information online. Despite the fears of some executives, most of the engagement was extremely positive. 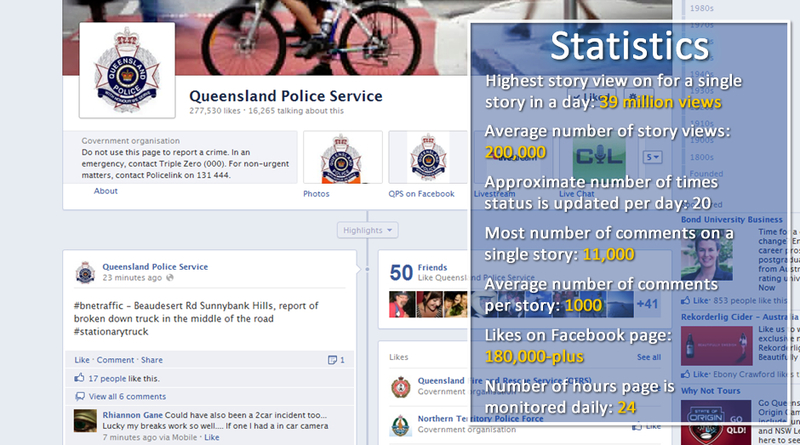 One of the key lessons was that it was critical to have built their social media presence before it was needed. They understood its role and how to use it before the 2011 disaster hit and it became the best possible way to communicate with the public. There was no master plan. They were just using the tools they had to address the issues of the moment. Policies, as required, were created on the fly. If they got something wrong, they simply apologized and people generally accepted that. Rethink clearance processes. Trust your staff to release information. Ensure that information is accessible. A PDF is not the most accessible way to deliver information. Machine-readable information such as geocoding allows the information to be more accessible and usable for others. 9 ways social media is impacting the business of healthcare - Healthcare Finance News. KBSD infographic on personal digital footprint.